Dancehall artiste Busy Signal is now celebrating the receipt of a work permit that will allow him to do shows in the United States. This follows his trip to the USA on a visitor's visa in January. The artiste acknowledged that music fans have been waiting for a very long time for the opportunity to see him perform live in the USA. "I want to thank my lawyer, my Turf Music Entertainment Team, Solid Agency and, of course, the US Embassy, who were instrumental in making it happen for the fans," Busy Signal said. The artiste, who is currently signed to four major brands, namely Pepsi, KFC, Lucozade and Guinness, will have his first ever US performance at the annual Groovin In The Park concert, scheduled for June 25 in New York. "It is such a blessing. All praises to the Most High for all that he's bestowed on me. 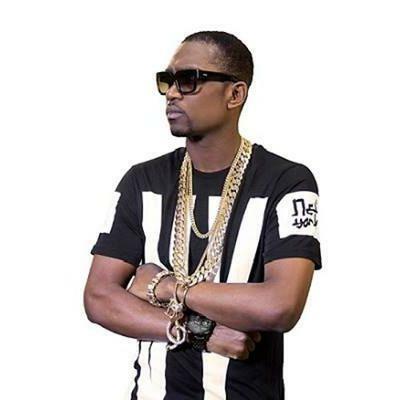 I am excited to finally be getting the opportunity to perform for my US fans," Busy Signal said. "They have always requested the Turf President and I want to assure them that their wait has not been in vain," an elated Busy Signal added. In this January, 2017 photo, Busy Signal arrives in New York. Busy will join an impressive line-up of reggae and R & B stars including R & B legend R Kelly. The organiser of the annual event said he was happy to have Busy Signal included on the show. "Music fans in the USA have been waiting to see this dancehall megastar in concert for a very long time. I am happy that this historic performance will be delivered on a Groovin stage, the biggest music platform for reggae and R & B music in the US," Groovin' Inc. founder and CEO Chris Roberts stated.